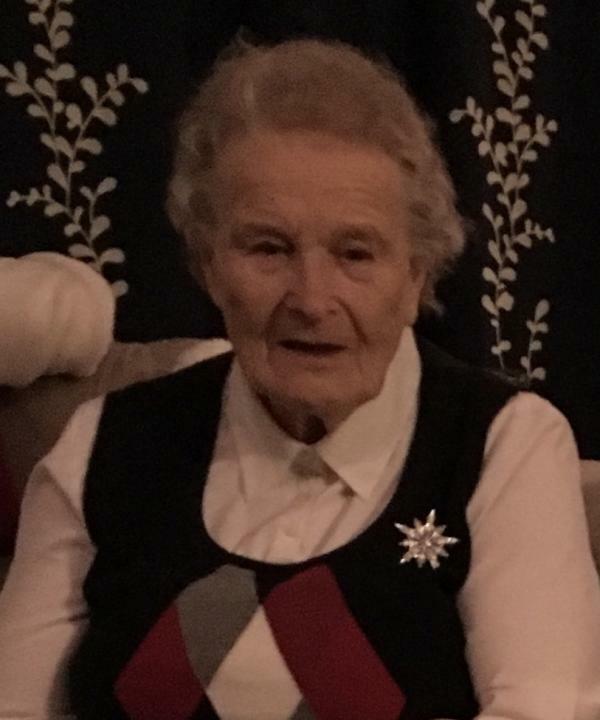 It is with heavy hearts that we, the family of Marie Keeping, announce her passing on Sunday, January 13, 2019 at the Northside General Hospital. Born in Hunts Island, Burgeo, Newfoundland on February 27, 1934, Marie was the youngest daughter of the late Frederick and Fanny (Harris) Ingram. Marie moved to Cape Breton as a young woman where she met her husband, the late Arthur Keeping. They were married for 40 years and enjoyed camping at Lake Ainslie and travelling around Nova Scotia visiting family and friends. Marie loved looking after others and spent many years as a babysitter and caregiver to several families. A favorite past time of hers was walking. She was an avid baker, knitter and card player. She enjoyed many nights with her card club, with both old and new friends. She loved going to Indian Beach to listen to music with her brother and sister-in-law. She looked forward to Sunday suppers with her family and spending time with her great-grandchildren, who adored their Nan-Nan. Marie was a member of St. John the Baptist Anglican Church, North Sydney and in her later years became more active and involved. Marie is survived by her daughter, Emily; granddaughter, Amy (Donald); great-grandchildren, Poppy Marie and Will. Also surviving is her brother, Ned (Stella) Ingram, North Sydney and sister, Phyllis Eccleston, Michigan; many nieces and nephews and her special friend, Marleen Williams, North Sydney. Marie was predeceased by her husband, Arthur Keeping in 1994; by her brothers, Howard, Sidney, Winston, George and Fred Ingram. Visitation for Marie will be held from 2-4 and 7-9 p.m. on Wednesday in the W.J. Dooley Funeral Home, 107 Pleasant St., North Sydney. A funeral service will be held at 3 p.m. on Thursday at St. John the Baptist Anglican Church with Archdeacon Brenda Drake officiating. Burial will be held at a later date in Lakeside Cemetery, North Sydney. Memorial donations may be made to St. John the Baptist Anglican Church Memorial Fund.